← Spin It Like a Coin. You know the story. Old Biff finds the time machine, gives Young Biff Grays Sports Almanac. Young Biff gets rich, changes timeline. But here’s the thing: how long will the almanac be effective? Consider: changes never happen in a vacuum. A problem with a lot of alternate timeline fiction is its reliance on the idea that one thing could be radically different while everything else on the planet – or in the universe – remains exactly the same. But the further away you get from the original point of divergence, the more chances every difference has to create a new difference, and a new one, and a new one. As the Back to the Future franchise reminds us, the thirty-year gap between 1955 and 1985 is an entire generation. People who met, fell in love, and had children in one timeline may never even meet in another. Multiply that by thirty years, and you probably windup with athletes who exist in one timeline but not the other. Granted, that’s an extreme, and Biff’s influence didn’t hit full stride the day he started using the almanac. But you get the idea. As Biff keeps winning, his bank account grows, his world changes. As the world changes, wouldn’t the world of sports change, too? Even if only on a small scale, sooner or later, his influence just might affect who joins what team, what ganes are played, what matches are held. I don’t bother extrapolating all the way to the end of the almanac in 2000, as by the time we see him in the alternate 1985, Biff already reigns supreme. Surely by now, we have reached peak saturation of his influence. Does Hill Valley exist in a bubble? Could Biff have that much power locally while affecting nothing globally? 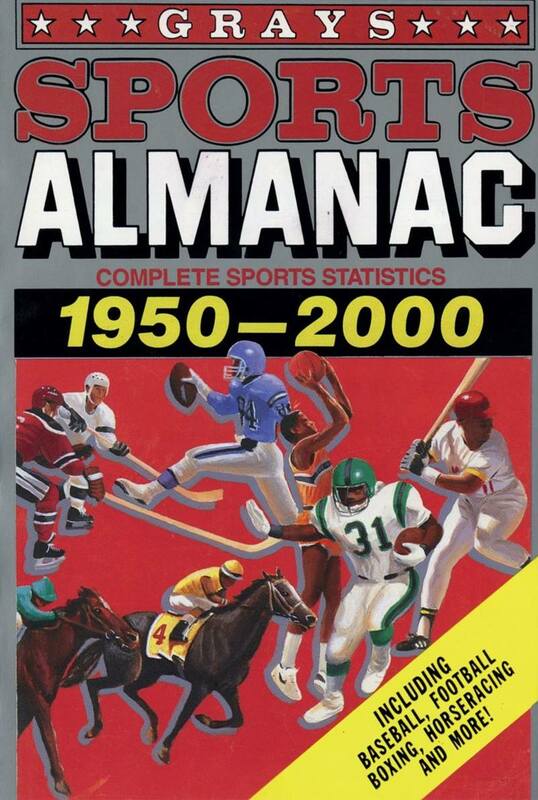 Or would, by alternate 1985, the the world of sports have been so radically altered that the almanac would no longer be of any use? If so, when would he reach that tipping point? Then again, would it even matter? By alternate 1985, Biff’s doing pretty well for himself. He probably doesn’t need the almanac anymore to pad his fortunes. Still, surely there’s an interesting side story to be told about the first time this opens the almanac and discovers it’s wrong. Make it happen, Zemeckis. We see the world change around Jennifer, restoring itself back to the “correct” 1985. Can the same thing happen in reverse? Can a relic of one timeline restore itself into being a relic of another? Or does being an item from a specific timeline – one that hasn’t happened yet – make it immutable? Like I said: overthinking it.